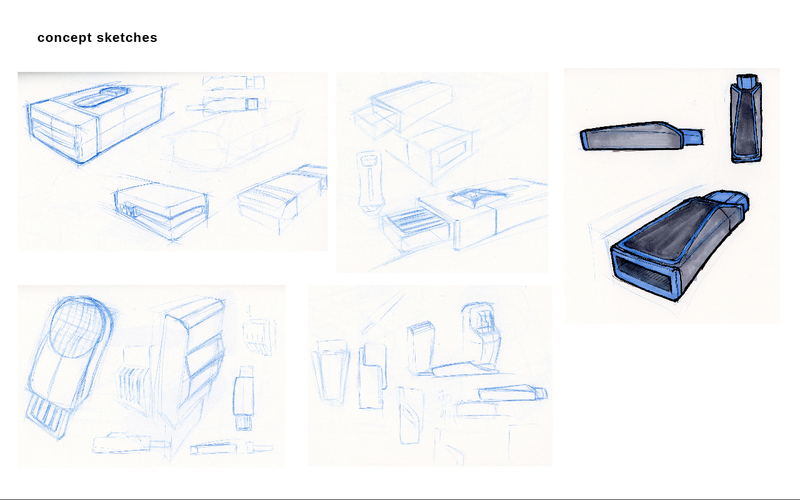 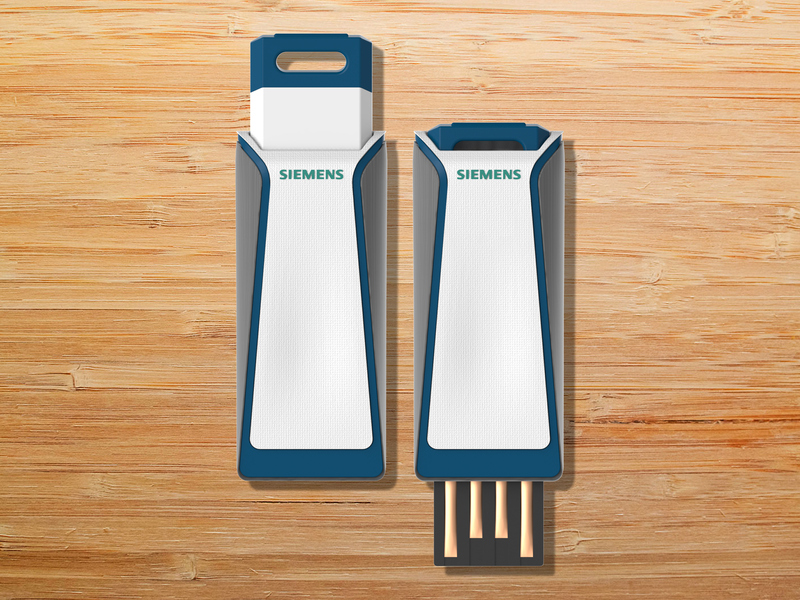 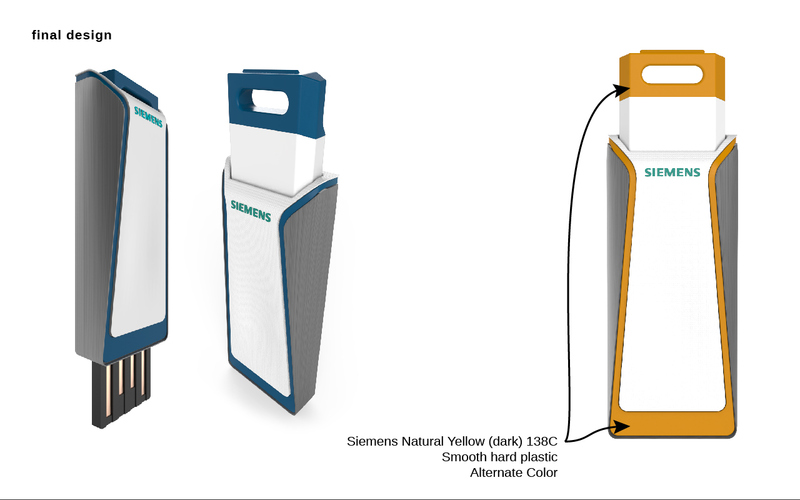 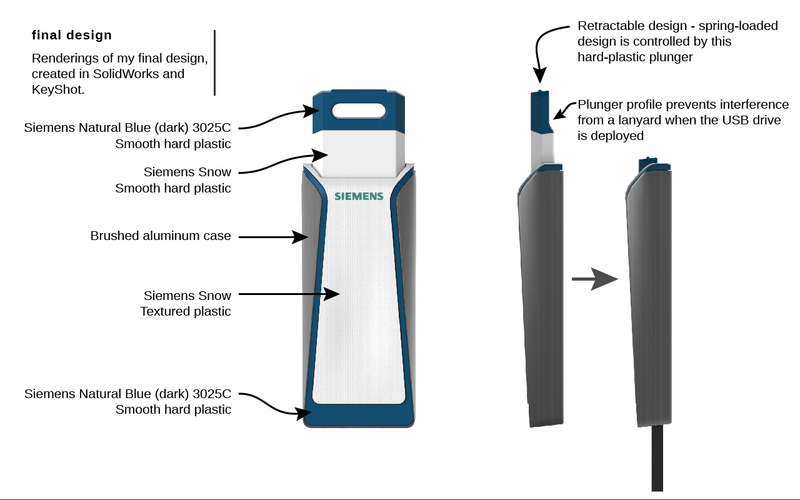 I entered a contest held by Siemens for their promotional USB flash drive. 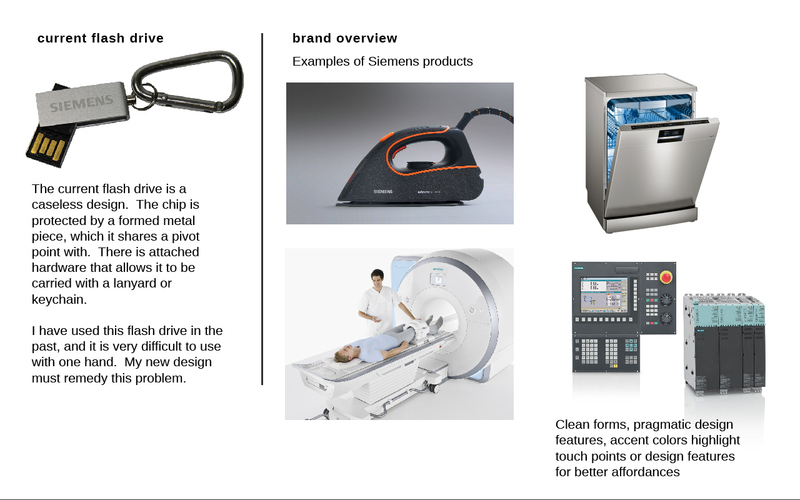 My design reflects their brand language and corporate identity across multiple industries, both in aesthetics and function. 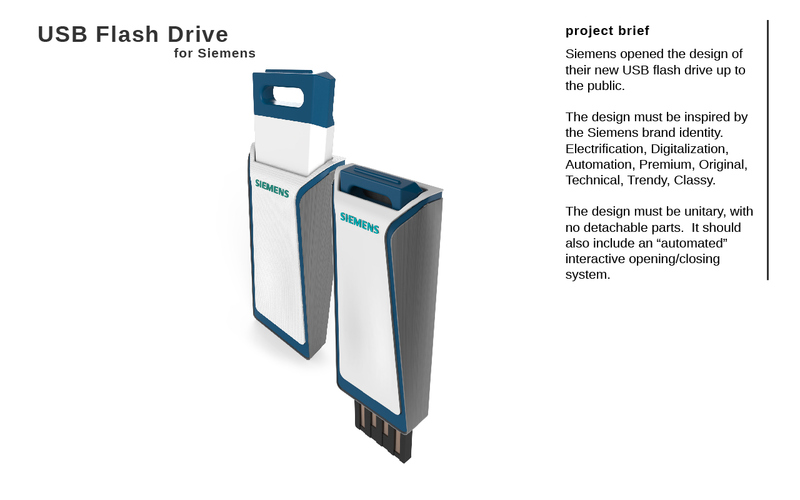 The drive operates like a spring-loaded retractable pen.